NEW YORK (AFP) – A Pakistani-American man was charged with international terrorism in the attempted car bombing of New York's Times Square after he was captured aboard a plane about to leave the country. Faisal Shahzad, 30, is alleged to be the man who drove a Nissan SUV crammed with a large, but malfunctioning bomb into Manhattan's busiest neighborhood last Saturday, as thousands flocked to theaters and other tourist attractions. The arrest came 53 hours after police found the homemade bomb literally smoldering in the SUV parked outside a theater staging "The Lion King" musical. The teeming Times Square district was evacuated and a huge manhunt got underway. Attorney General Eric Holder said Shahzad, a naturalized US citizen, admitted involvement in the bomb attempt. FBI Deputy Director John Pistole said the suspect, seen in photographs as a fresh-faced, lightly bearded man, was cooperating and had "provided valuable intelligence and evidence." The 10-page criminal complaint filed Tuesday accuses the Connecticut resident of attempting "to use a weapon of mass destruction" to kill people in the crowded center of New York on Saturday. According to the US criminal complaint, Shahzad admitted "after his arrest that he had received bomb-making traiing in Waziristan, Pakistan." Officials said Tuesday he was talking. Initially they used a little-known law to delay reading him his Miranda rights, which permit a suspect to remain silent and not incriminate himself. 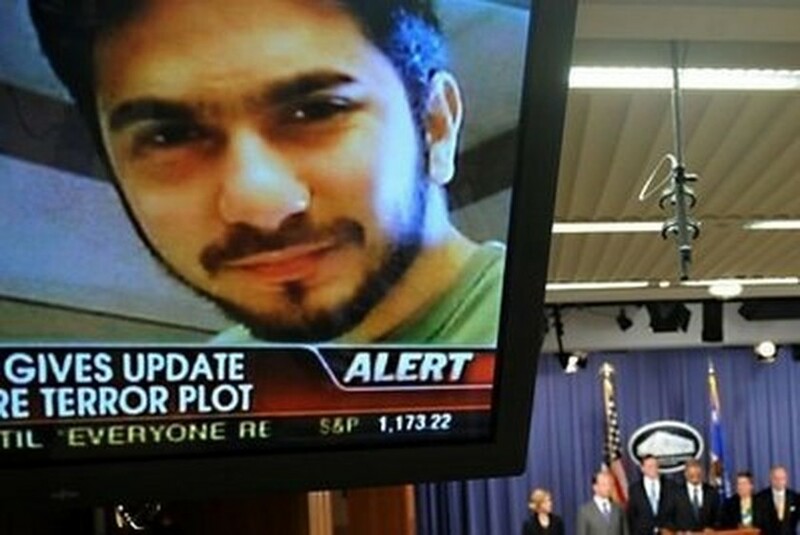 Janet Napolitano, secretary of homeland security, told journalists that Shahzad was on a no-fly list and that even if the plane had taken off there were powers "to order the plane to turn around and come back."